Product #18335 | SKU IA-200A | 0.0 (no ratings yet) Thanks for your rating! A 100W AC adapter offers two outputs, and a lightweight design. The IA-200a 100W AC adapter offers two outputs. The small footprint and lightweight design of the IA-200a is perfect for any situation where space is at a premium. For added convenience, the power supply accepts a standard, professional grounded AC cord. The dual 4-Pin XLR outputs can draw up to 100W from one channel, or any combination equaling 100W from the two outputs. For added convenience, the IA-200a accepts a standard removable grounded professional AC cord. 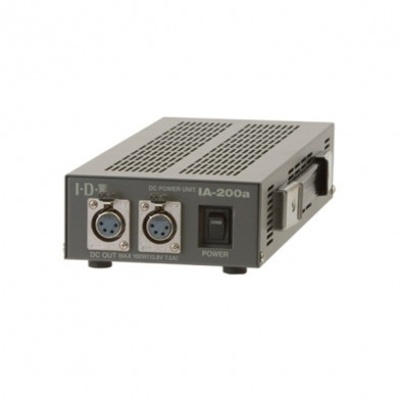 The IA-200a outer metal case ensures reliability and a long operating life.